The Ridgefield School District Board of Directors has approved the newest version of Pursuing Premier, the district’s goals and planning blueprint—a bold document that provides direction for the district’s pursuit in becoming Washington state’s premier school system. Community partnerships that promote collaboration and enhanced communication and provide additional learning experiences for Ridgefield students. The major modification in the newly-adopted Pursuing Premier document specifies the use of Key Performance Indicators (KPI’s) based on student responses from the Healthy Youth Survey to provide a more precise measurement of outcomes for Goals #2 and #4. It also clarifies the purpose of weekly collaboration time for certificated staff for Goal #3. 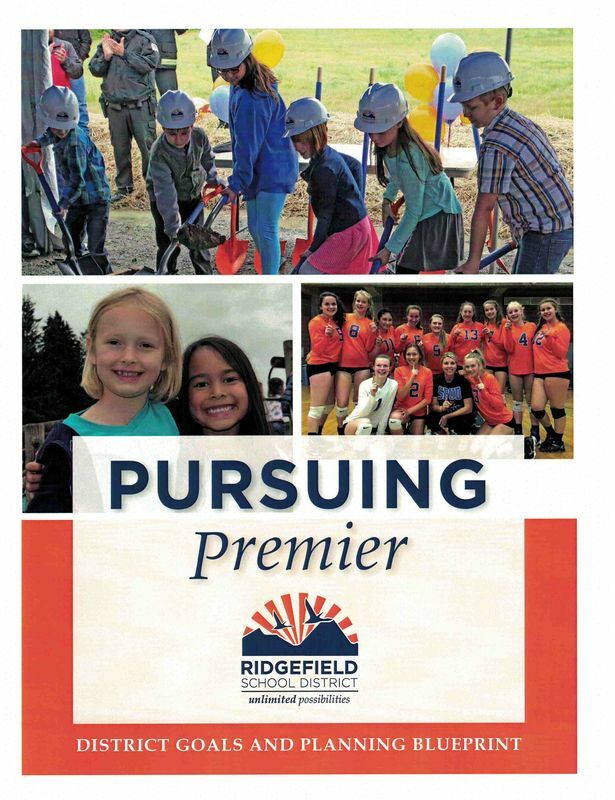 Click here to see the document in its entirety or visit the district website at http://www.ridgefieldsd.org/pursuing-premier and click the PDF link at the bottom of the page.